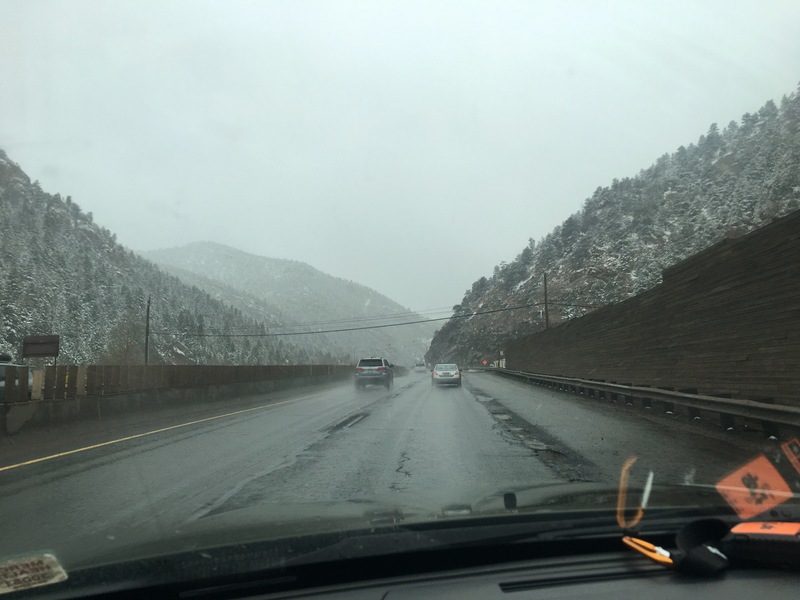 The alarm sounded, waking me from a very deep sleep, Utah was waiting and it was time to continue westward. 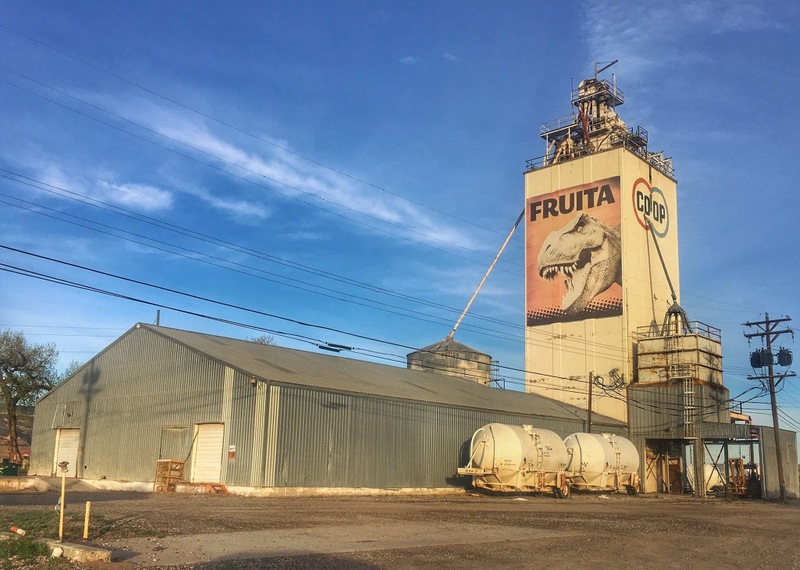 Being a dinosaur nerd, I’ve always wanted to get a photo of the Fruita, CO grain elevator featuring a huge mural of a T-Rex. Immediately after snapping a shot, I thought of the terrible joke I told to coworkers a couple days before vacation. Q: What do you call a guy who sticks his right hand in T-Rex’s mouth? Pushing toward the border, the La Sal Mountains came into view to the southwest; their appearance always feels like coming home. My ultimate destination for the day was Joe’s Valley Reservoir west of Orangeville. We camped there last year, and along with being nearly alone in the campground, we caught a number of decent Splake from shore. Before making camp, however, I wanted to explore around the Moore area, looking for rock art. 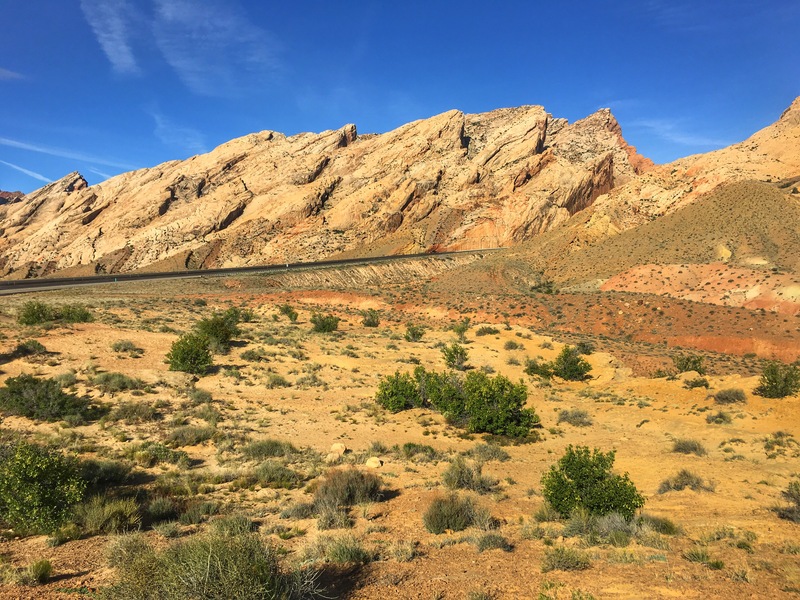 The San Rafael Reef, a fantastic monocline that I-70 cuts through, is one of my favorite features in Utah. 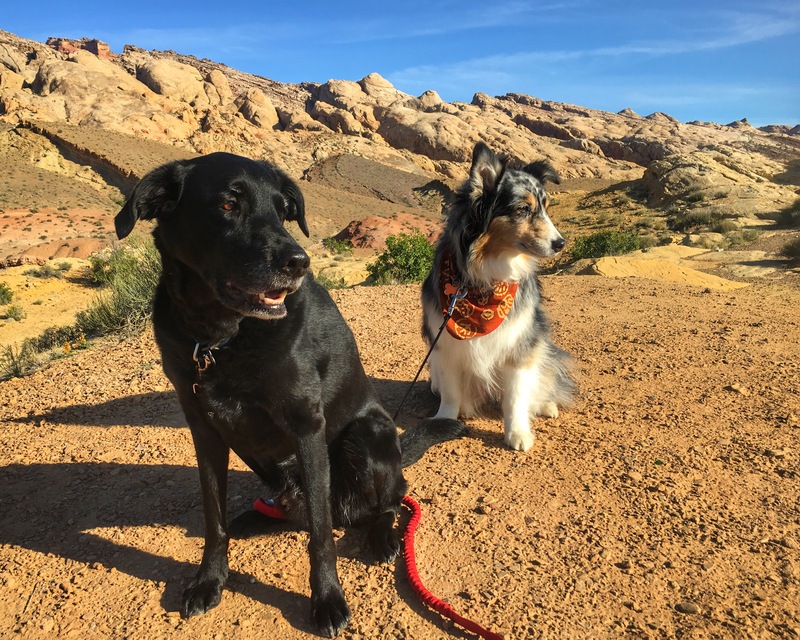 The dogs and I made a quick stop at the rest stop just east of the Reef to take a couple of photos, stretch our legs and breathe in the dry Utah air. Camera is over here dogs! Moore Cutoff road was waiting, so I eased the Jeep back onto I-70 and continued westward. I-70 through the Reef always impresses me, it’s hard to fathom the massive amounts of work that went into that short stretch of road. I turned onto the Moore Cutoff road with Short Canyon as my first intended stop. After a couple of misturns (and some pretty bumpy two-tracks), I found my way to the mouth of the canyon. 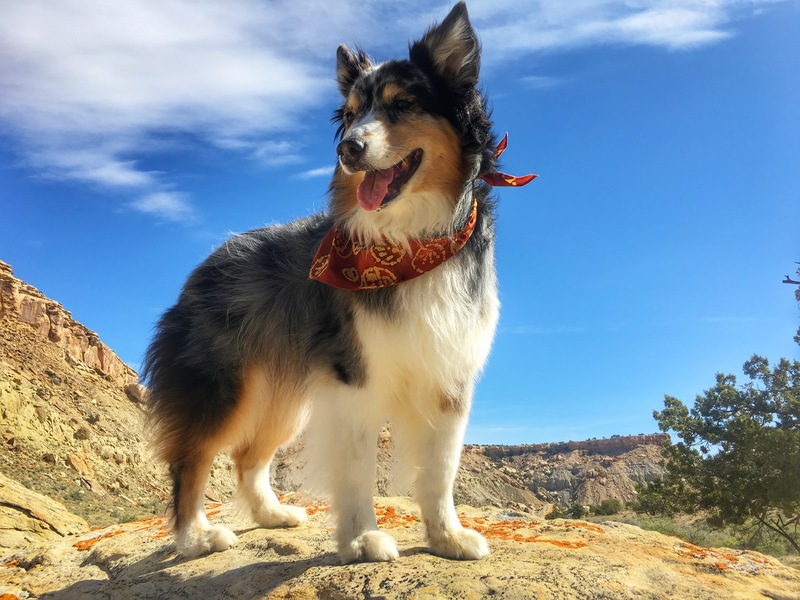 I loaded my pack with camera gear and water, got the dogs ready and started the hike into the canyon. We made our way down the trail until we reached the location of the geocache we were searching for. After the GPS jumping around, trying to find the cache’s coordinates, I located the geocache in a crack in some boulders. I knew there were pictographs and petroglyphs in the canyon so we continued hiking a bit to try and find them. We didn’t go far before high up on the canyon wall I spotted a pictograph. While I knew there was additional rock art further into the canyon, we were running low on time and I had another panel I’d been looking for the past couple of years. The rest of the canyon’s rock art would have to wait for another trip. We turned around and headed out of the canyon, the dogs running and wrestling, burning off some of the energy they stored up on the trip out. 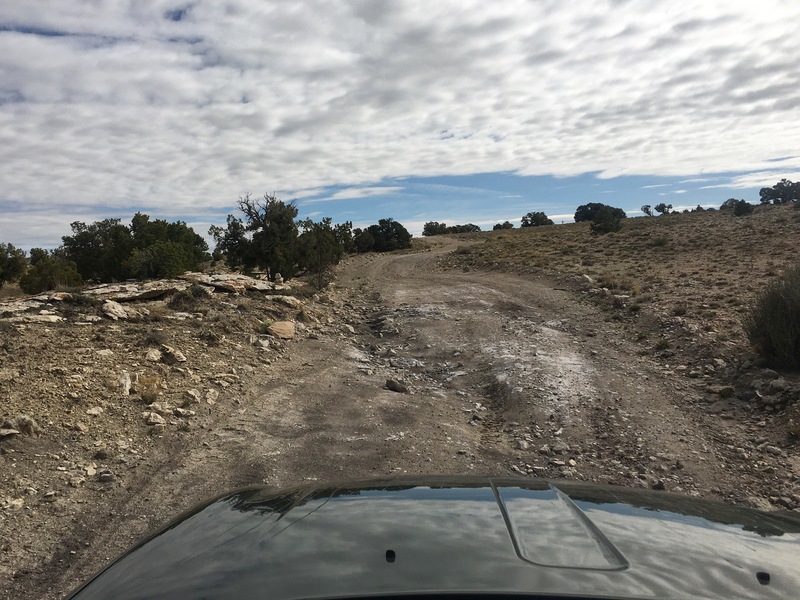 We reached the Jeep and started the short drive back to the Moore Cutoff road. Back on Moore Cutoff road I headed west to the Molen Reef petroglyphs to walk around a bit. It seems as though every rock holds an ancient image, one can find new figures on every visit. Moving on, again westward, I was looking for a panel that I’d wanted to find for several years. I had written down clues I found in blog posts and forum trip reports, pored over maps looking for likely places and spent far too much time on Google Earth. I was pretty confident that I had it this time. The dogs and I started off up the steep slope to where I thought it was, this asthmatic flatlander and her flatlander dogs sucking wind as we went. After a bit of searching, I decided I was thwarted again, which was fine – the view was pretty fantastic and it gave me another reason to visit the area and explore more next time. Mira is still a little mountain goat, even at 10 yrs old! Spanish Bayonet (I think) – take care, very stabby!! We made it back to the car, Yukon barking like a doofus at the cars as they went by below, and started toward our destination for the evening, Joe’s Valley Reservoir and what would turn out to be a great night of fishing! Anticipation is always high right before heading out on another roadtrip. 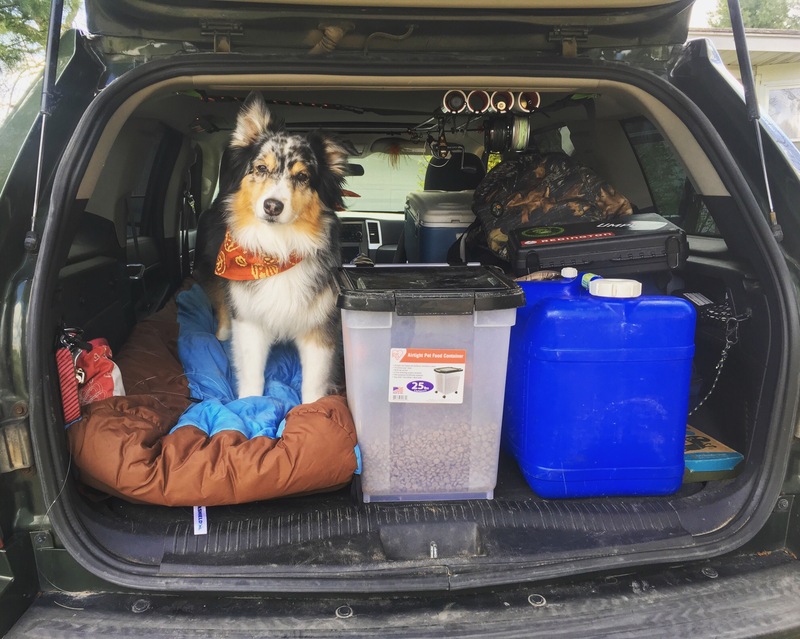 My plan was to come home from work, finish loading up the Jeep, then snooze with the pups for a few hours prior to beginning our annual pilgrimage to the desert. I’m sure I managed a couple of minutes of sleep, but Red Rock fever had even reached the dogs, they were convinced that 9PM was long enough to sleep and it was time to leave! Mira ready to roll after spending all day sleeping – glad someone was well rested! On I-196 by 1030PM, we were set to glide through Chicago traffic with ease, the middle of the night being a much better time to tackle the madness south of the Windy City. 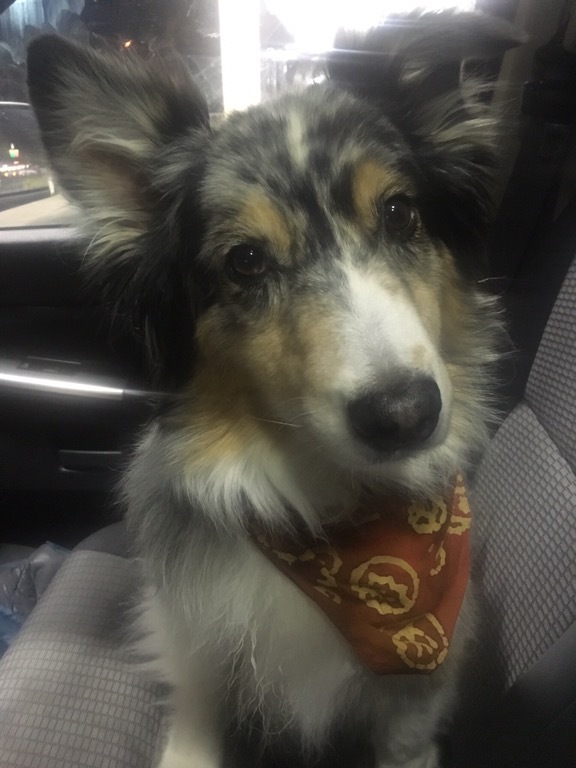 Both dogs were pretty impressed with our stop at the toll booth on I-80 when the lady in the booth handed them each a dog cookie! As the night made way for dawn, it became very clear that this trip would be fueled by copious amounts of Mt. Dew, SweetTarts Mini Chewy candies, 5-hr Energy Drinks and girl rock sung at the top of my lungs, much to the chagrin of my dogs (I challenge you to sing “What’s Up?” By 4 Non Blondes quietly). Rain turned into snow in central Nebraska making my eyelids droop uncontrollably. I gave in to exhaustion and pulled into a rest stop, crawled into the back of the Jeep with the dogs and took a quick nap. 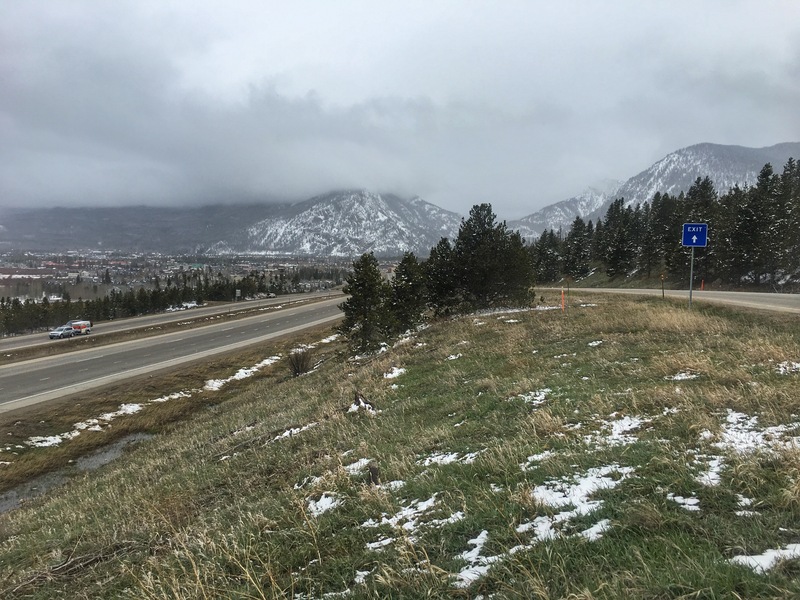 The heavy snow would continue to cause problems for quite some time, slowing progress all the way through to western Colorado. 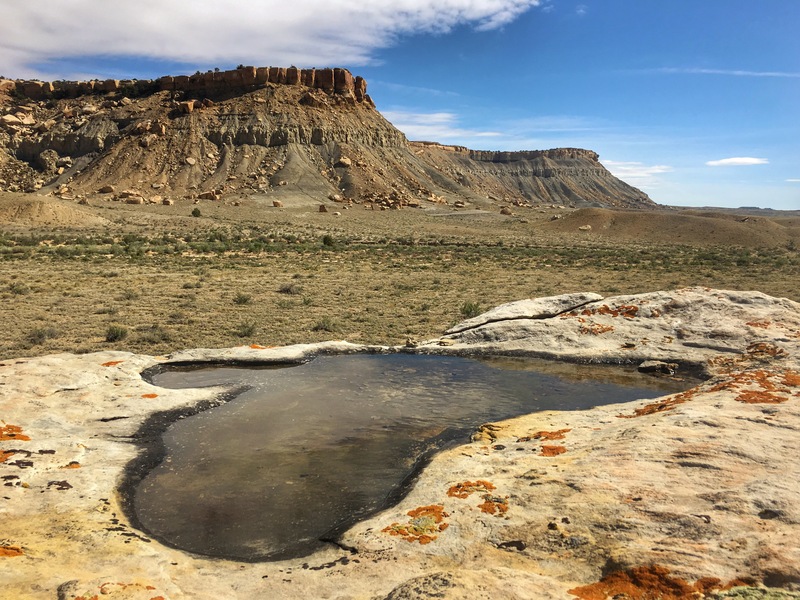 My original goal for the first day was to stop for the night in Green River, UT so we’d be close to our destination the next morning. Unfortunately, the Motel 6 was booked solid for the night. I checked Grand Junction and not only did the Motel 6 have rooms available, but it was $20/night cheaper than Green River. 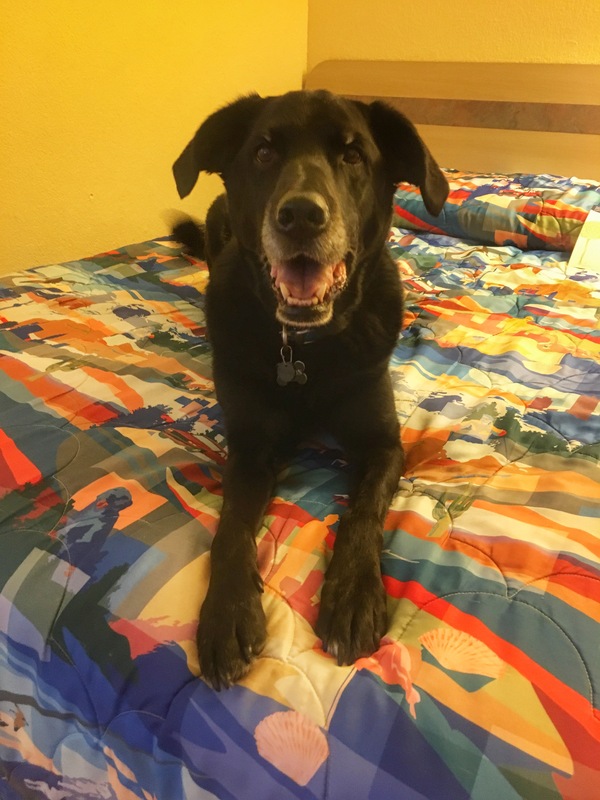 Over the years of traveling with my beasts, I’ve decided that Motel 6 best fits our needs. 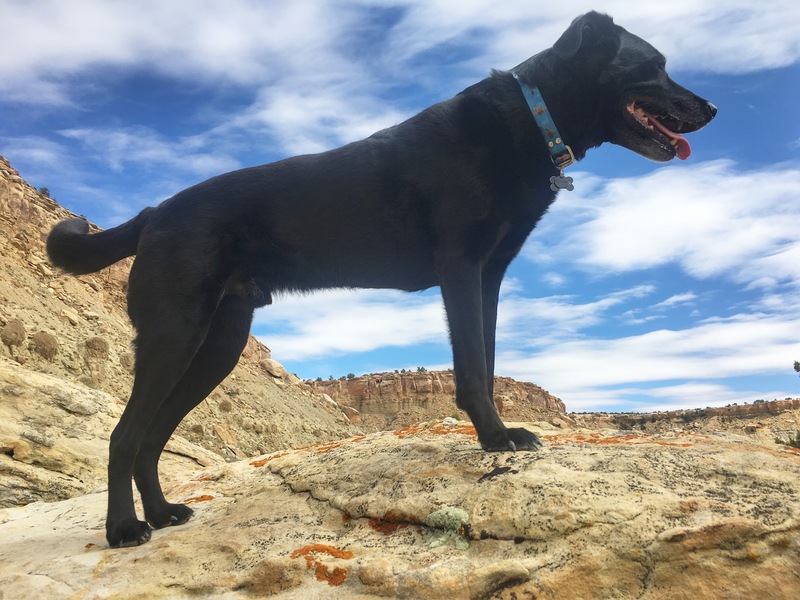 Not only are they exceptionally dog friendly, but also very reasonably priced (dogs stay free at most which saves a lot) – they may be a bit spartan for some but fit our travel needs very well. After 24 hours on the road, 2-one hour naps included, the dogs and I were happy to arrive at our home for the night. 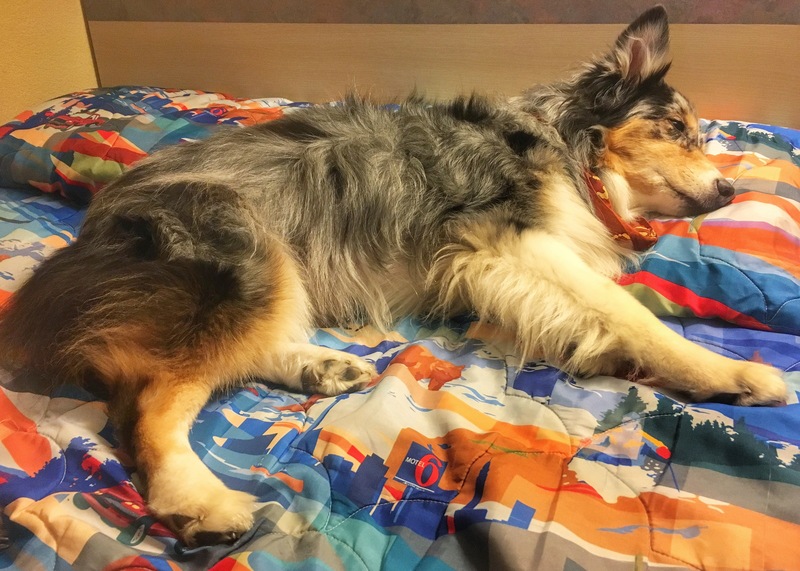 Yukon quickly claimed one of the beds and Mira immediately fell asleep on my pillow. 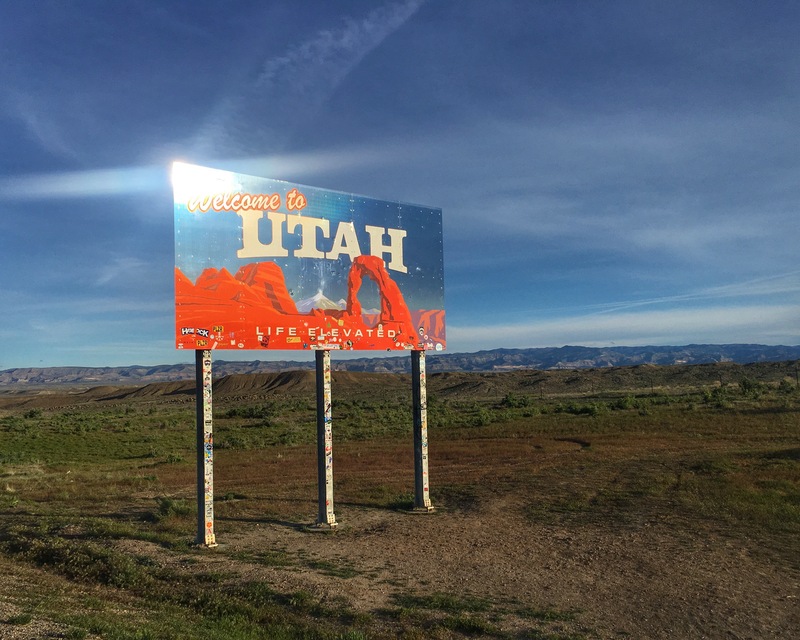 I was amazed that I was able to make the push from Michigan to western Colorado in one day but it was time to rest up for our first day in Utah! After weeks of anticipation, the morning was finally here, time to leave for vacation with the dogs to Utah. Since I worked a late shift yesterday evening, I packed the remainder of my gear and clothing this morning…that, extreme weather in the area and two overexcited dogs underfoot delayed departure a bit. 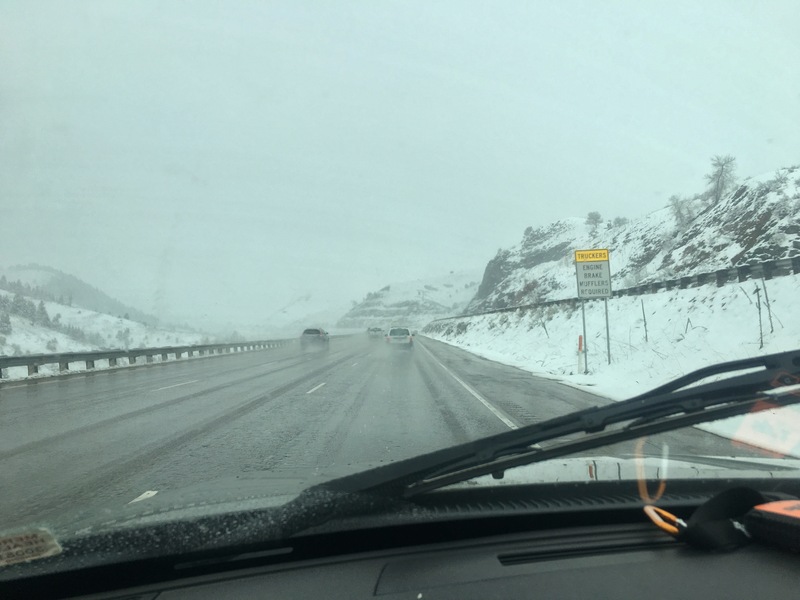 It was cold, wet and gloomy, which would continue throughout the day and across five states (with a little snow an sleet thrown in). 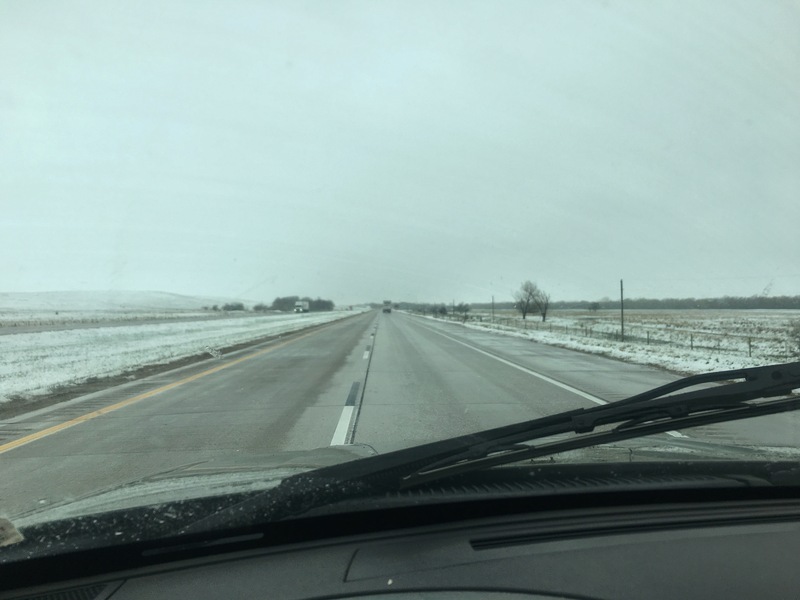 My original destination for the evening was North Platte, Nebraska but between battling the Jeep in the heavy crosswind and dealing with the rain and snow I was very sleepy and stopped short. 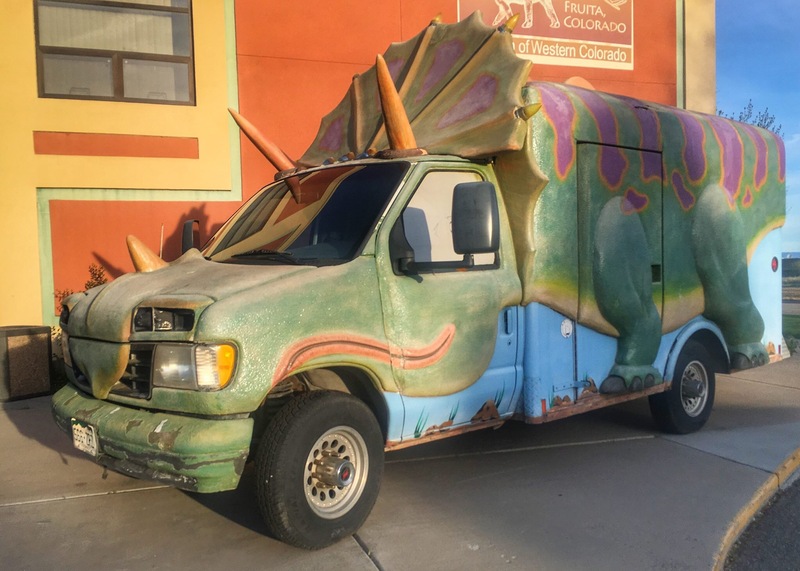 One thing that always appeals to me about driving rather than flying, are the amazing things you see while on the road. In the last hour before stopping for the night, I saw hundreds of Sandhill Cranes – I must have lucked out and hit Nebraska during the crane migration. What an absolutely amazing thing to see!